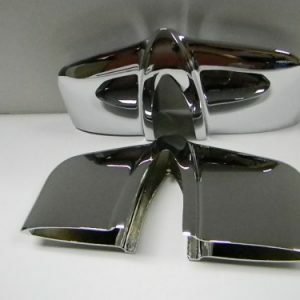 This is a new, reproduction #424 Center Grille Tooth for 1953-1960 Corvettes. Exact reproduction,die cast white metal (pot metal) and chrome plated, as the original. Measures 7 1/4″ high, included in our grille tooth sets and assemblies.